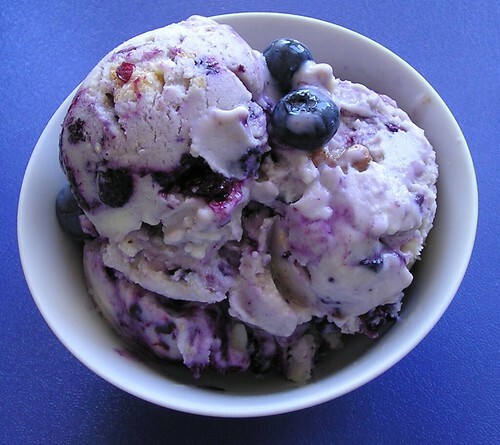 Blueberry Crumble Fromage Frais Ice Cream - Do You Know The Muffin Man? Recipe adapted from deliaonline.com. Notes: Substituted quark (0.25% fat) for fromage frais. Crumble made from pie dough scraps saved up in my freezer, mixed with cinnamon and brown sugar. Very flavourful, lots of textural contrast, a keeper.